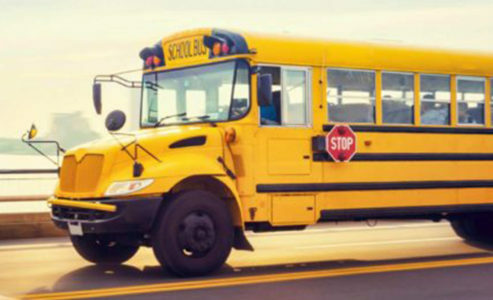 TDSB to be Impacted if Durham strike – Parents of school children in Durham region who get bused to class may want to have a backup plan in place for tomorrow. “First Student Canada” bus company drivers could be on strike as of midnight tonight if a labour deal is not reached. About 10,000 students, including some in Toronto, would be affected by a walkout Thursday morning. The union representing the bus drivers, Unifor 4268, issued a 72-hour strike notice on Monday. The good news is the company and the union are still at the negotiating table. In total, there are about 260 bus drivers. Unifor says bus drivers assume responsibility for children’s safety, and yet they remain at the bottom of the pay scale when it comes to professional drivers. The union says drivers are working several hours a day without being paid for them, and the union argues all the unpaid hours they work puts drivers below minimum wage, placing them at about $12 an hour. They say the workers want to be paid for seven hours a day, while some are making half that. Students from 103 schools would be impacted. The Durham District School Board, Durham Catholic District School Board, Toronto District School Board and Toronto Catholic District School Board all have schools which will be affected by the strike. The school boards have been told the school bus operator will not replace drivers, nor will the school board contact another bus company to service the routes. Unifor said they will continue to negotiate with First Student until the strike deadline.